If you’re struggling with toilet paper eating addiction, you are not alone. There are thousands of others who looking at ways of dealing with this problem. Some people eat few sheets in a day, while there are others who eat entire roll in a day. 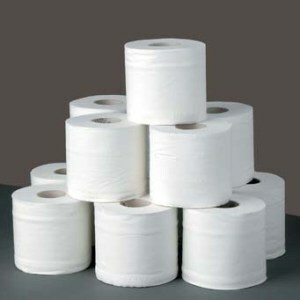 People, who are addicted to eating toilet paper, may not enjoy eating normal food because of their addiction. Many online forums and answers website say that eating toilet paper is safe and there are not side effects of eating toilet. This information is not true and people who eat toilet paper may have to deal with long-term health problems. Pica is addiction of eating objects and substances, like paint, paper, chemicals, paint, and dirt that don’t have nutritional value. Craving for non-food items isn’t safe as it is an indication that you are suffering from an underlying health problem. If you are suffering from toilet paper eating addiction, it is best that you consult your doctor. Your doctor may suggest blood which will help in finding out the possible deficiencies you are suffering from. Usually, mineral deficiency is a reason for such cravings. “Pica” comes from a Latin word which means magpie, a bird that eats almost anything. The craving for non-food items is extensive in people who suffer from Pica. Some people crave for paper while others crave for dirt, mud, chalk, and glue. Craving for powdery consistencies like sand, baking soda, ashes and talc is also not uncommon. If a person suffers from pica, medical evaluation of the person is important. Some of the problems that pica can cause include intestinal blockages, anemia, and high level of toxicity in the blood. Your doctor may suggest tests and physical examination to find the side effects of addiction. A test for possible infections caused by eating items like toilet paper may also be recommended by the doctor. The doctor will also evaluate the presence of other disorders like developmental disabilities, mental retardation, and obsessive-compulsive disorder. Eating objects that don’t have any nutritional value, can lead to malnutrition, constipation, and blockages. Some of the other problems associated with Pica is Phytobezoar. This is a type of trapped mass which consist of indigestible material like seeds, skins, and fibers. Phytobezoars in the stomach can be detected using endoscopic testing or barium x-ray. People, who suffer from phytobezoars, may develop symptoms like vomiting, perforation, gastric outlet obstruction, bleeding, abdominal pain, and nausea. Phytobezoar may also cause the person to retain feces to toxic levels. The trapped mass is like a ball of human hair except its toilet paper that can get stuck in the GI tract and stomach. At times, drastic increase in toxicity levels can make sweat and breathe smell feces like. Phytobezoar is also result in problems in intestine and abdominal pain. The doctors may use endoscopy to remove this indigestible mass from the stomach. Given the risk associated with this treatment, as it can result in lead poisoning, close monitoring of the patient is important throughout the treatment. Also, cooperation of the mental health team may be required to treat pica. Pica usually begins at a young age. Typically pica last only for a few months, however, in some cases it can last for a few years. There is no special or specific treatment for pica. However, paying careful attention to eating your eating habits can help in preventing pica. If you have infants at home, you must supervise them and pay careful attention to their eating habits. If you can them young, you can prevent complications. Opioids are synthetic or natural drugs that are derived from chemical syntheses or poppy plant. These drugs include both legal and illegal drugs. Examples of legally prescribed drugs are codeine, morphine and oxycodone. Opioids are prescribed by healthcare professionals to help people deal with pain. These drugs bind brain receptors that are responsible for sensations of pleasure, pain relief and reward. These drugs are especially helpful to those who are suffering from acute pain. Most doctors prescribe opioids when no other medicine is successful in reducing pain. However, since the drug has several psychological and pain relieving properties, it is amongst the most abused substances currently available. When people increase their dose without consulting their healthcare provider or when they take illegal opioids, the route administration of the drug is altered. Many people take the drug in powdered form or inject themselves with water that contains opioids. These methods increase the absorption speed of the drug which leads to a rush that has instant effect on the positive sensations. Please note that opioids have the potential of addiction and abuse even when they are taken as prescribed. Taking these drugs for more than a few weeks can lead to physical dependence on these drugs. Even though physical addiction to opioids takes a few weeks, psychological addictions can result in a few days. You spend several hours every day trying to locate or recovering from the side effects of the drugs. You have made several unsuccessful attempts to reduce your usage or quit altogether. You continue to take these drugs even after you know that these drugs cause psychological, physical, social and financial problem. When you don’t take opioids, you experience withdrawal symptoms. These symptoms get alleviated when you start taking these drugs again. You don’t have any regards to your personal and professional obligation and are only interested in using these drugs. You have developed tolerance to these drugs and you start taking higher doses to get the same effect. Counseling can play an important role in treatment of opiate addiction. People living in Scottsdale can visit opiate abuse counseling Scottsdale to get help for treating people with addiction. There are many outpatient and residential programs that use both behavioral therapies and medications to help people change their lives and stop opiate abuse. In counseling sessions, patients are encouraged to make changes in their lives and are praised for the progress they make. Even though counseling can help people with opiate addiction, the first step of the recovery process is the willingness of the patients to make changes in their lives. Patients must understand their condition and must take all possible steps to recover from the problem.